When it comes to fastening bolts, or busting tough, corroded nuts, Milwaukee impact wrenches will definitely help you get the job done. And there’s more than enough power between Milwaukee’s 2767 and 2763 impact wrench models to get most jobs in your garage done. So, how do you know which of the two power tools is right for you? Thankfully, I’ve done the research. I have scrounged countless forums, compiled the feedback, and analyzed the data so you don’t have to. Now, I’ll be going over both Milwaukee impact wrenches in more detail to help you decide which one is right for you. I’ll also provide you with my conclusion, and which of the two I’d prefer in my garage. Milwaukee’s Fuel High Torque Impact Wrench (2767) is seriously a life saver. 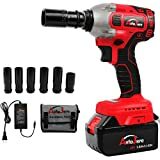 As I was browsing the market for a new impact wrench to work on my auto parts, I highly debated between a mid-torque impact wrench and a high-torque one. Going with this high-torque power tool did not disappoint. The impact wrench was very well put together and handled like a quality socket wrench power tool should. 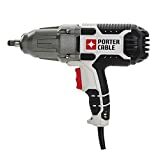 Although, it’s the industry’s most compact cordless high-torque impact wrench at 8.39 inches, it has massive amounts of torque power for any kind of auto maintenance work, large or small. Plus, its small size allows you to fit into tighter spaces that you could fit into before with larger power tools. Nevertheless, despite its size, it delivers 1,000 flubs of fastening torque and 1,400 flubs of nut-busting (removing) torque. Seriously, it maybe even had too much power for automotive work. Milwaukee’s 2767 impact wrench actually provides users with 4 modes of drive control. You can even slow down RPM speeds down to 750 once the fastener is busted loose. Personally, I found the 4-mode control to be very helpful. There are lots of different moving parts in any automobile, so having different options to work on those specific parts is definitely practical. Milwaukee also fitted a friction ring onto impact wrench 2767. This eliminates the need to have pneumatic tools in handy to tackle on annoying, rusty bolts. It’s also outfitted with protective, premium rubber for superior comfort when using throughout longer periods. And even comes with two charger packs! Milwaukee’s 2767 impact wrench is a really fine high-torque impact wrench, and has everything you really need in one convenient set. If you’re looking for a great impact wrench to do some automotive repair, look no further. Milwaukee’s 2763 impact wrench has all of the nut-busting, screw-turning power you need to get your work done. Although it isn’t speculated to be “high-torque” like model 2767, this model still does the job well. Again, Milwaukee puts this impact wrench together very well. The materials are quality, and I could immediately tell its assembly was as precise as it gets. This power tool feels safe and powerful, both in one. Speaking of power, it gets 700 flubs of maximum fastening torque and up to 1,000 flubs of nut busting torque. That was plenty of strength to tackle the jobs I needed done in my garage. The 2763 worked like a dream and even kept up with my pal’s professional pneumatic tools. Probably designed with power in mind, it’s chasse is rather large. So, it might not fit in all places that a more compact pneumatic power tool could. It’s also substantially heavy to back up all that torque. It also comes with 2 fastening modes for different types of projects. One speed definitely wouldn’t be enough. Furthermore, Milwaukee fits its model 2763 with a POWERSTATE Brushless Motor for added power. This motor also allows for the impact wrench to run cooler, longer. It’s also cleverly designed with a REDLITHIUM XC 4.0 battery pack for 2 times the performance-time. And just like model 2767, it comes equipped with a friction ring to assist with all of your complicated tasks. This impact wrench seriously lasted so long on one charge. I rarely find myself having to charge it. It’s really the workhorse of impact wrenches. In conclusion, either of Milwaukee’s impact wrenches are a great addition to your shop. 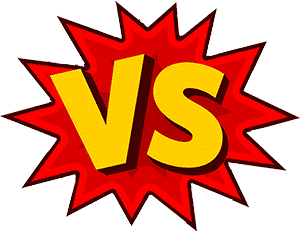 Both offer more than adequate torque-power to get most fastening and nut-busting jobs done, especially in the auto shop. 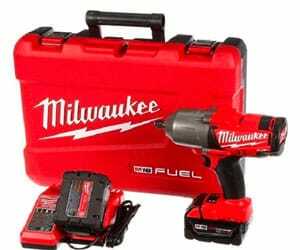 The Milwaukee 2767 and 2763 power tools also both boast plenty of battery life, for prolonged and extensive usage. 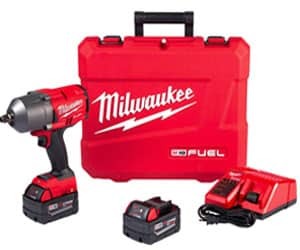 Milwaukee even provides each impact wrench set with an extra battery pack, which is a great bonus to the substantial battery life the lithium ion battery already possesses. So, overall, both power tools are very similar since they are made by the same quality manufacturer. However, if I had to go with one, I’d go with Milwaukee’s 2767. And, although, I don’t think I’ll be finding myself using either impact wrenches outside of auto maintenance, the 2767 possesses more torque-power for when the occasion arises. The 2763 has 700 flubs (ft to lbs) of fastening torque-power and 1,000 flubs of nut-busting power. Account for ratio, that’s a significantly less torque power than 2767’s 1,000 flubs of fastening power and 1,400 flubs of nut-busting power. I definitely don’t want to run into a ultra, rusty, corroded but someday and wish I had gone with a little more power in hindsight. Milwaukee’s 2763 is also more expensive than 2767, which is rather odd considering the ladder has more power. 2767 not only has more power, but also provides users with more options for different projects. It has 4 modes of speed control, compared to 2763’s 2. And, lastly, 2767 is more compact which allows it more versatility with a variety of projects. Overall, both socket wrench power tools are great options. However, for its price and power, I’d go with 2767 for my choice. There’s quite a bit of confusion when it comes between choosing between these two impact wrenches. Yes, they’re both from the same brand and manufacturer, Milwaukee. But just because they’re both impact wrenches from the same company does not mean they are suitable for the exact same jobs/duties. If you obtain one that is too weak for your needs, then you may never get the job finished. Your bolts won’t be tightened sufficiently and your corroded, rusty nuts will stay corroded and rusty. On the other hand, if you buy one that has too much torque-power, you could really cause some major damage to your vehicle/ project. To avoid these bad, but very possible, scenarios, you really do have to choose the right impact wrench that meet your needs. How much torque does a Milwaukee Impact have? Can you use an impact driver as an impact wrench? How many foot pounds of torque do I need for tire lug nuts? Can you adjust the torque on an impact wrench? First, here’s some prerequisite information on the impact wrench. 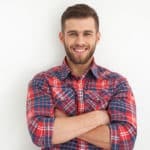 Unsurprisingly, the impact of cordless power tools is definitely understated in how it has changed the way workers work. The impact wrench is no exception in this matter. 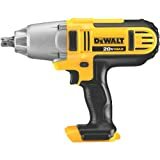 An impact wrench, also known as an air wrench, impactor, impact gun, rattle gun, torque gun, air gun and windy gun, is actually socket wrench power tool. It produces a rotational force to help with all of the most annoying lugs, nuts, screws, bolts, etc. This type of tool is designed to exert high torque with very little effort from the user. Perhaps, the power it puts out, even allows you to finish your job with just a little more grace. As you may already know, this socket wrench power tool is popularly used in a number of industries such as; construction projects, major product assembly, heavy equipment maintenance, or even automotive repair. It’s also comes readily available in every standard socket wrench size. There’s ¼ inch, to work on small assembly or smaller projects, and it even goes up to 3 ½ inches, for larger construction or larger projects. Although hydraulic or electric energy is often utilized as power sources, compressed air is actually the most common power source among impact wrenches. Compressed air is lower cost and surprisingly has the best power-to-weight ratio. This power tool was designed to screw and unscrew the toughest lug nuts so you won’t have to. Milwaukee Tools is actually headquartered in Brookfield, Wisconsin. However, the company actually started in Milwaukee, Wisconsin in 1924. Some of Milwaukee’s tools are manufactured in the United States of America, but they also have tools manufactured out of bases in China and Europe. The power tools have a variety of ranges of torque power. The 2763 has 700 ft-lbs of fastening power and 1,000 of nut-busting power. Relatively, the 2767 has 1,000 and 1,400. That’s more than enough for you everyday usage on auto parts and decent-sized construction jobs. An impact wrench is designed to fasten and loosen sockets. An impact driver is designed to drive fasteners through wood to hold in place. However, impact drivers can actually can be used as an impact wrench with the right tools and attachments. A good and safe range for tire lug nuts is around 90-100 ft – lbs of torque power. So all that extra power is provided for you to do heavier duty work. Rust nuts and corroded bolts shouldn’t be a problem with Milwaukee’s impact wrenches. However, if you’re only looking for an impact wrench to use on tire lug nuts, then the 2763 is probably the better fit for you. 2767 might just be too much power for its own good in that situation. Yes, there are different speed modes on a variety of impact wrenches. For example, the 2763 has 2 speed modes and the 2767 has 4. The different speeds allow you to utilize the impact wrench for a variety of different jobs. Having only one speed can often be singular and you may find yourself looking for other tools to do the job.